A mostly fast and very flat — and highly scenic — run through the streets of Miami and Miami Beach await the more than 3,000 runners and walkers who come out each year for the 305 Half Marathon. 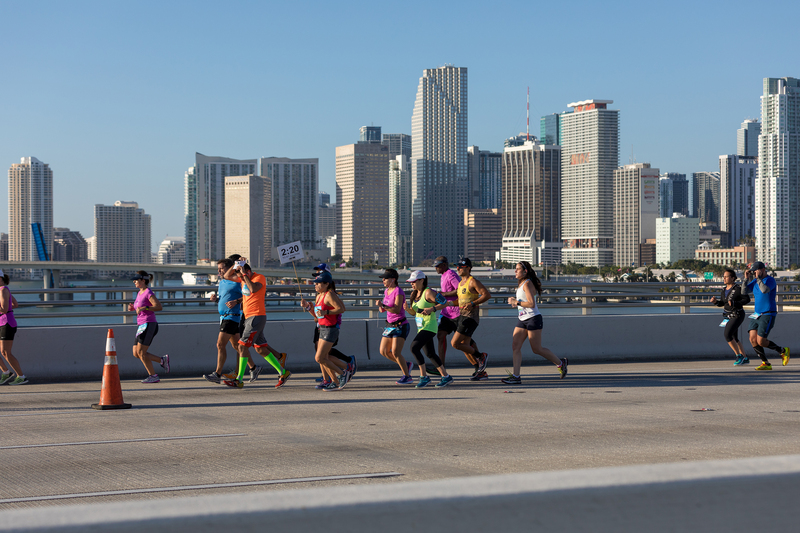 Formerly 13.1 Miami Beach, this fast, flat and coastal course will have you running like you live here. 305 Drive on-course speed challenge starting at the 15K split (half marathon distance only). The 305 Half Marathon always welcomes athletes who use wheelchairs to participate, however, there will not be a hand cycle division. Due to safety issues on the course, and in accordance with the Paralympic Committee rules, NO hand cycle (hand bikes, hand crank devices or other mechanically gear driven devices) will be permitted in the race. The race will abide by the rules and policies of the recognized governing bodies of the sports of wheelchair racing, which do not allow the use of mechanical gears found on hand bikes. For additional information contact Wheelchair Sports USA and the International Paralympic Committee.